If the following Loki series rumor turns out to be true, it seems Kevin Feige and Marvel Studios are taking a page out of Marvel TV, which means it's pretty lame. A rumor hits the net surrounding the upcoming Loki series for the Disney+ streaming network offering that it will feature a younger character and new actor. The rumor says Tom Hiddleston will simply be the narrator as the Loki series is about the half-brother of Thor in his younger days of being a trickster. "RUMOR: Tom Hiddleston will be the narrator of Loki's life story in the Disney+ LOKI series," the rumor says. "If it's accurate, he'd be telling a story/stories about his younger days and they would be able to bring in younger actor(s) for that." Loki did die in Infinity War, so some sort of series about a young Loki traveling the Nine Realms would make sense, but obviously, this is not what fans were expecting or hoping for. Interestingly enough, the official word from Disney is that the series is "based on Loki, the god of mischief, to star Tom Hiddleston." 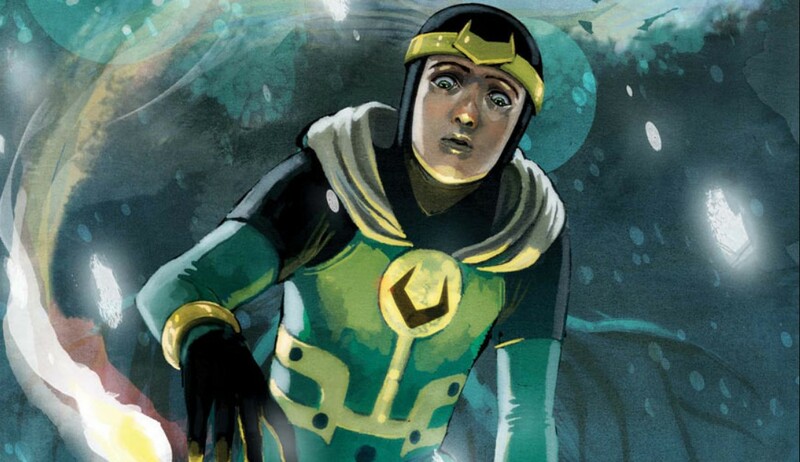 Worth a mention is that some of the recent Marvel Comics features a Kid Loki. Tom Hiddleston did recently tease involvement in the series with, "Loki. More stories to tell. More mischief to make. More to come." The Marvel Studios TV series being developed for the Disney+ streaming service are all said to be of a high budget and around six to eight episodes each. Also in the works is a Vision and Scarlet Witch series, and a team-up featuring Falcon and Winter Soldier. A Rocket and Groot series has also been rumored.